San Diego Comic-Con is officially underway where entertainment creators and fans come together to talk about their love of all things nerdy (comics, anime, video games, and sci-fi, just to name a few) and online streaming service, Netflix, gave fans plenty to be excited about. 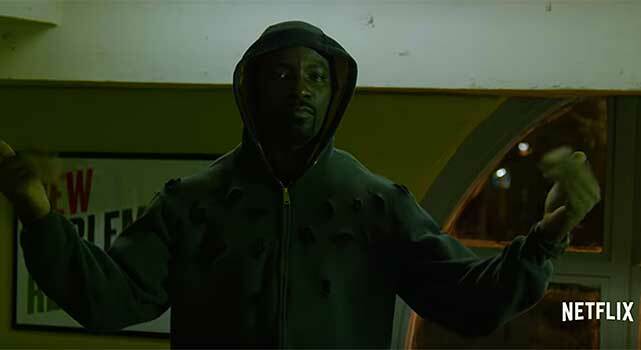 On Thursday, Netflix released teaser trailers for their next Defenders series, Luke Cage and Iron Fist. Luke Cage (Mike Colter) was last seen in the Netflix series, Jessica Jones. Following that, Netflix unveiled the first teaser trailer for Iron Fist starring Finn Jones (Game of Thrones). With the final two heroes revealed in The Defenders series (Daredevil and Jessica Jones being the other two), Netflix also released a teaser for the team-up series. Luke Cage is scheduled to premiere September 30 only on Netflix. Iron Fist and The Defenders will premiere in 2017. Along with the previews of the new series, Netflix confirmed that Daredevil has been renewed for Season 3 with an eerie clip posted to the series’ Facebook page. No release date has been announced for the new season.